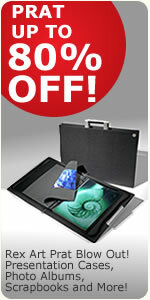 Rex Art Blowout, Prat Presentation Products at 50% to 80% Off! Rex Art Prat Blowout! Save at least 50% to 80% off! Yes, you read the title correctly! Rex Art has put together a factory direct promotion on tons of styles of high quality Prat presentation products at a savings of at least 50% to 80% off list prices. There is an amazing selection of beautiful Prat products that range from Presentation Cases, Scrapbooks, Binders, Spiral Books, and more! These are not seconds, or defective products, but simply Prat items that are being phased out. We have arranged this special promotion to be offered exclusively to our customers. Since these are products that are being discontinued this promotion is only while supplies last. We launched the Prat Blowout Promotion last week and since that time some styles have already sold out. If you see something you like or have been watching please do not delay in placing your order ASAP because once its gone it will be gone for good. We will do our best to keep the current products that are available up to date on our site. One of my favorites is the striking Prat Preference Presentation Case, and features a sleek, modern and functional design. 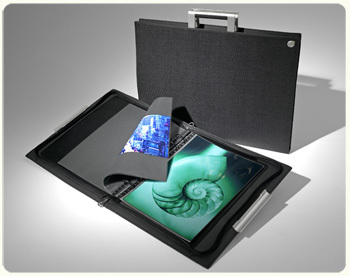 Rex Art Prat Blowout Preference Presentation Cases for 56% Off! I am actually quite sorry that they are doing away with it because I think it is one of the best cases Prat has ever produced. Normally we sell the Prat Preference at a very good discount of 40% off, but with the blowout promotion we are offering all the sizes while they last at 56% off! If you are looking for fashionable French made scrapbooks look no further than the Prat Viva Scrapbooks and priced between $6.40 and $8.00 at 78% off they would make a great holiday gift at an amazing value! 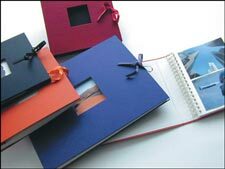 Rex Art Prat Blowout - Viva Scrapbooks at 78% Off! These are just a few of the really outstanding values that Rex Art has available in the Prat Blowout range. Take some time and review the whole Prat Blowout and you will find fantastic products with outstanding prices from Rex. As always our family at Rex thanks you for your support! I love these Prat Portfolios! They really stand the test of time! Great Deal Too!